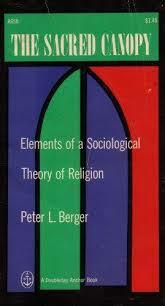 245 1 4 %a The sacred canopy : %b elements of a sociological theory of religion, %c [by] Peter L. Berger. 260 # %a Garden City : %b Doubleday, %c copyright 1967. 300 %a VII, 230 stron ; %c 18 cm.